Book festivals are the best. You get to leave the four walls of your home and hang out with other book-loving people doing book-loving things. The only thing better than a book festival, is a book festival in another country. I discovered this when I travelled to India with my book club for the Jaipur Literary Festival. 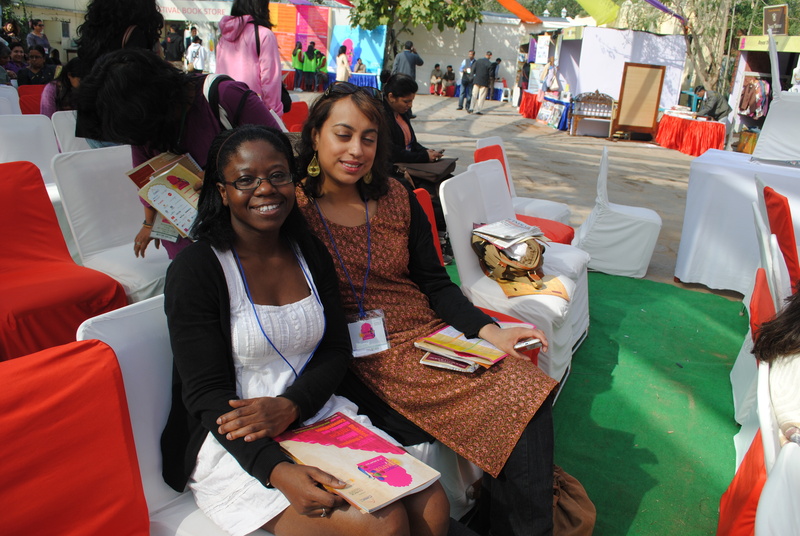 I had become accustomed to being a minority brown person at the book festivals I attended. The event agendas would be a sea of whiteness, and if there was a spot of colour, it was often on the box-ticking, let’s-address-diversity panel. At Jaipur I found myself in a historical Indian city surrounded by brown people, with a lineup of literary talks that centred brown folk. There were brown people talking about love and politics and health and art and science and all kinds of topics that had nothing to do with the colour of their skin. It was wonderful. I heard new voices, new perspectives, new ideas…it was the definition of Chimamanda Ngozi Adichie’s call for multiple stories. And of course, I didn’t spend all my time at the festival. I also got to see India – a tiny slice, albeit – that gave me a richness, a frame of reference for future readings of Indian authors like Sonali Dev and Arvind Adiga. Next on my festival list is the Ake book festival in Abeokuta, Nigeria. The sheer number of incredible authors bursting out of that country should make it a must-visit for every book-lover. In short, there are fantastic book festivals happening all over the globe. Is there a better reason to travel?